We're closer to our domesticated creatures than at any point in human history -- even considering them family members. Yet the cost of owning pets can be daunting, as veterinary medicine has advanced to include expensive specialties and treatment. And then there's doggy day care and all manner of niceties for animals, including dog-carrying backpacks and music specially composed for cats. So, how far should we go to take care of our pets? Faith Buckley, veterinarian specializing in internal medicine. 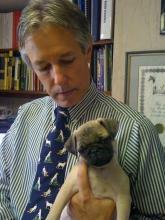 She practices at the Capital Area Veterinary Emergency Service in Concord. David Grimm, Online News Editor of Science, a journal of science news and scientific research. Grimm is the author of the new book, Citizen Canine: Our Evolving Relationship with Cats and Dogs, which traces the journey of dogs and cats from wild animals to family members, both in our homes and in the eyes of the law. Monica Zulauf, President of the Animal Rescue League of New Hampshire. If I am to be honest, she's the one who rescued me. I've had my cat for 16 years. I adopted her from a shelter when I lived in Michigan. Several years ago, she had to have 17 teeth pulled on the same day, due to reabsorptive lesion disease. Now she's old, with hyperthyroidism, so she takes $70 worth of pills every month. She's skin and bones, and incredibly picky about what she eats. She'll eat anything I'm eating, but will barely touch any canned cat food. Unfortunately, when I feed her table scraps, she throws it up. My dogs mean the world to me and they have had health insurance longer than I have. 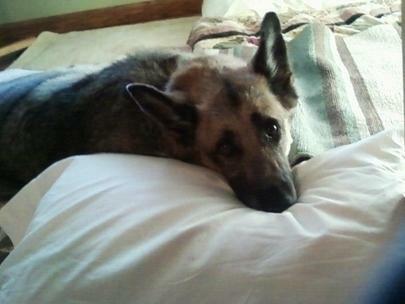 The Food and Drug Administration isn't sure, but Rita Desollar of Pekin, Ill., feels she knows what killed Heidi, her 7-year-old German shepherd. She feels it was the chicken jerky strips she bought at her local Walgreen's. Desollar says on the Wednesday before Memorial Day, she gave two pieces of Waggin' Train jerky to Heidi as a treat. A few days later, Heidi was throwing up and "in a lot of distress," she says. By the time the holiday rolled around on Monday, Desollar says, Heidi was convulsing in her bed. She died that day, before Desollar could even take her to the vet. We're not only obsessed with what we eat. We're now obsessed with what our pets eat. They make us healthier and happier, so who can blame us for wanting the best? 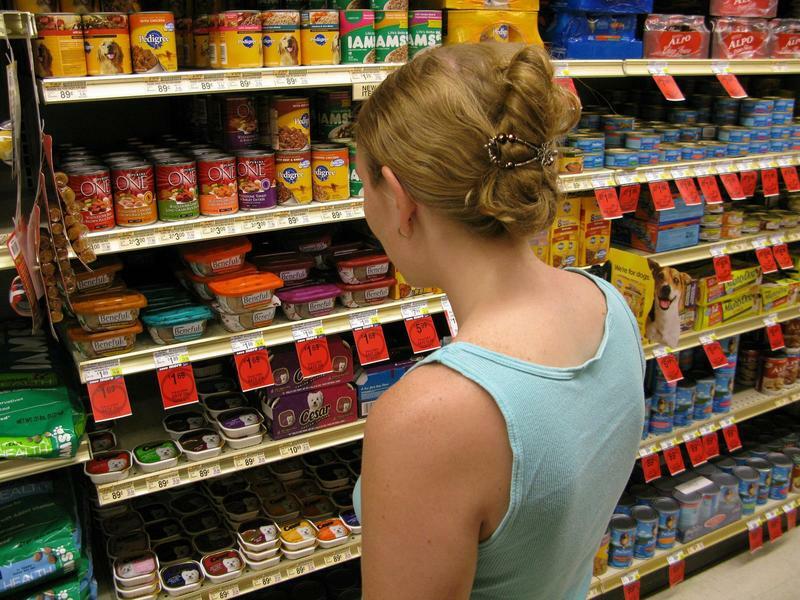 While the pet food industry has started adding salmon, vegetables and other ingredients humans favor to its products, the store-bought stuff just doesn't make the cut anymore for some owners. They're skipping the pet food aisle altogether in favor of cooking up big batches of Fido's meals. 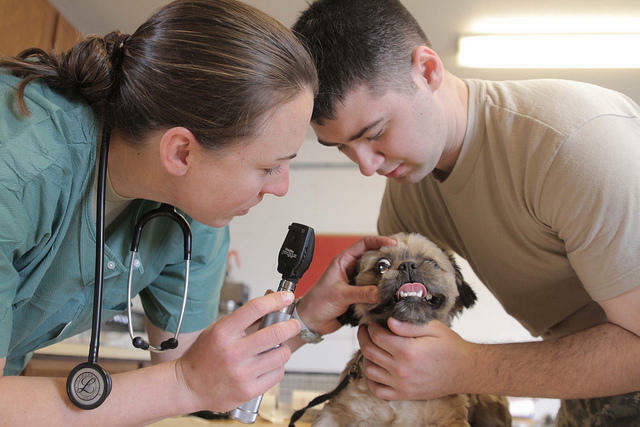 There are way more veterinarians than there is work for them to do, according to a recent survey by the American Veterinary Medical Association, as the nation's veterinary schools continue to crank out graduates. 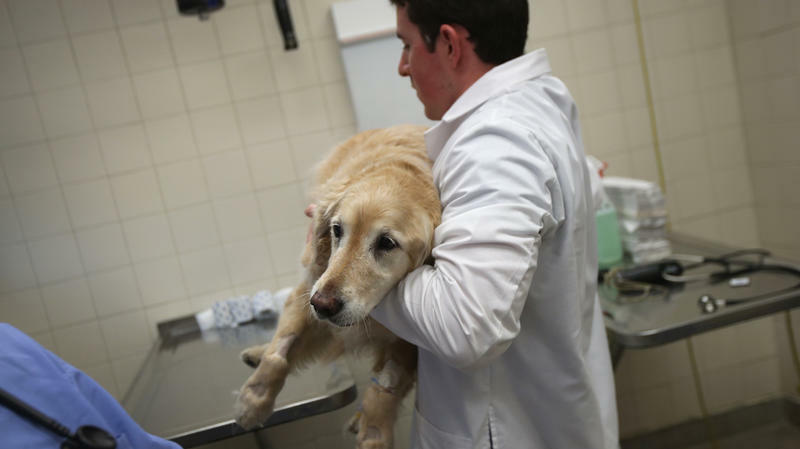 A report from the American Veterinary Medical Association estimates the supply exceeds the demand by the equivalent of 11,250 full-time vets. Dr. Douglas Aspros says the federal health law is increasing his costs to buy medical equipment, which he has no choice but to pass onto his patients — most of whom are uninsured. None of Aspros' patients, though, will benefit from the Affordable Care Act's expansion of coverage. Aspros, you see, treats dogs, cats, birds, hamsters, parrots and other small animals at his veterinary center in Pound Ridge, N.Y.